The primary purpose of the Resident Council is to represent the interests of all residents living under the terms of a Residency and Care Agreement by acting in an organizing and advisory capacity to The Village at Germantown managing staff, and to serve as an informational source to the Village at Germantown, Inc. Board of Directors. Emphasis is placed upon those issues which residents think most important. An additional purpose is to administer other matters that are necessary for the good and welfare of the residents. The Council is comprised of nine members elected at large from The Village in its entirety. Council member elections are held in March each year on a date determined by the Resident Council. There are no term limit restrictions on residents running for election to the Council. 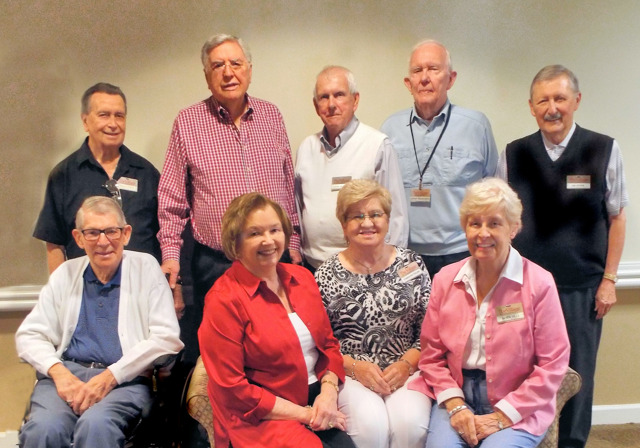 The 2017 Resident Council members are: (Left to Right) Walter Howard, Lew Cross, Jim Moore, Martha Ann Corlew, Jack Henton, Carolyn Tyler, Jerry Francisco, Bette Tilly, and Jim Stock. A copy of all monthly minutes and the annual financial report are archived in the Village Library.